Plastic bags have a wide range of usability in our day to day lives. For instance, we use them to carry our foodstuffs from groceries shops, we also use them as gloves to do dirty chores or as knee pads while gardening. We also cover our plants with plastic bags to prevent them from frosting at night. Basically, plastic bags can be improvised to do so many things and are therefore very handy at home. The reason why plastic bags are so popular is because they are cheaper than eco-friendly bags. Furthermore, plastic bags are waterproof and very convenient during rainy days. 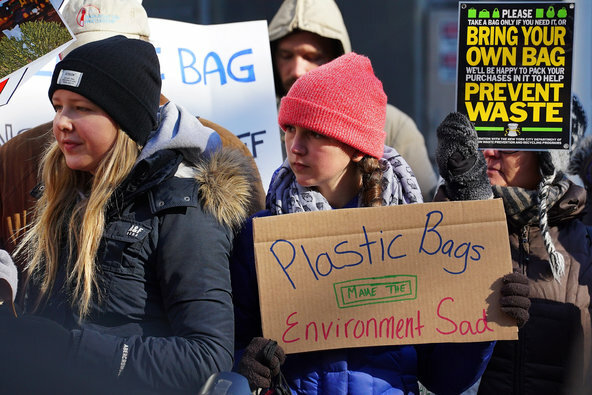 Whilst, there are many advantages we can accrue from using plastic bags, the reality of the matter is that they pose serious threats to us and the environment. One of the reasons why plastic bags are bad for the environment is that they practically take forever to decay. Plastics have a very low rate of degradation that it may take thousands of years for a small piece to disintegrate. It goes without saying therefore that since the first modern plastic bags were designed in 1965 by the Swedish company, Celloplast, virtually all the plastic bags are still in existence today. Secondly, they contribute to climate change. All the polymers and compounds used in the creation of plastic bags such as polypropylene and polyethylene are derived from petroleum and natural gas. The process of extracting fossil fuel and then processing it to produce plastics releases greenhouse gases into the atmosphere. This has resulted to the degradation of the ozone layer, which has subsequently led to global warming.